Singing a cappella harmony, the Lake Country Harmony Chorus is a 503c non-profit organization serving East Texas. Performing four-part harmony, our repertoire crosses generations and genres, combining barbershop with Broadway, merging jazz and pop. This talented chorus competes annually with other choruses in a five-state region. 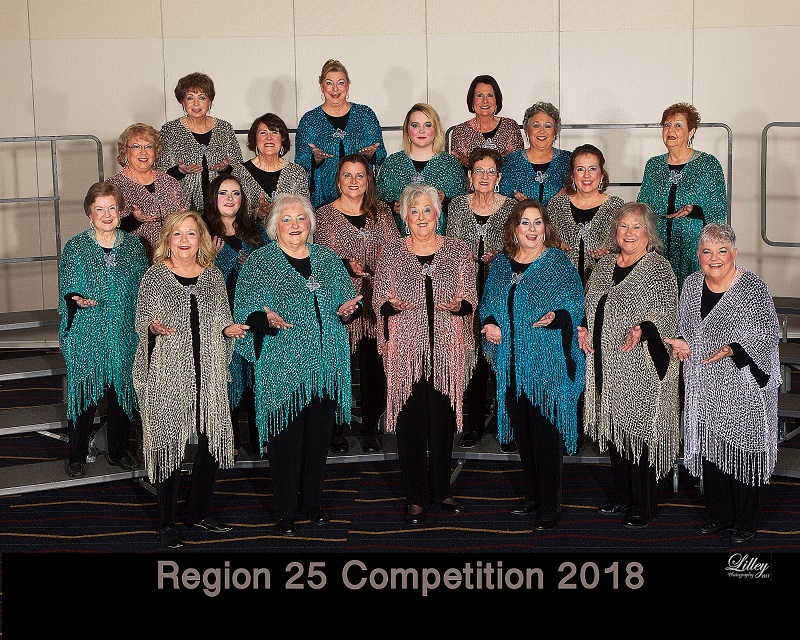 Member of Sweet Adelines International Member of Region 25 - Heart of America Find Lake Country Harmony on FaceBook!